Day one of Dreamforce was a whirlwind but I survived. Shuttles were provided throughout the entire conference, however, your best bet was to walk. When Forbes suggested you wear comfortable shoes, they weren’t kidding. I could feel day one the second I stepped out of bed but I wasn’t going to — or realistically I couldn’t let that stop me. On the Lyft to the first hotel, I once again gave my agenda for the day a bit more pruning. I’m not going to lie though, I really wanted the coveted Trailblazer hoodie, which kind of fueled my day. Teaser alert: I got one! Dreamforce survival guide tip number 1: arrive early. My first session of the day, The Confluence Equation: Content & Influencers Drive B2B Marketing Success, began at 9 a.m. and although I was one of the lucky ones to hold a “reserved seat,” I didn’t want to miss a thing. This session focused on how B2B organizations can utilize influencers into their content strategies. The keynote speaker made it a point to stress that only 11% of B2B companies incorporate influences into their content strategies, while 48% of B2C companies leverage influencer curated content. He suggested leveraging influencers to make the job of content creators less stressful because essentially the content is written for you. He used the example of an ebook that was 90% written by industry leaders. Take a peek at a session when you’re part of the early bird crowd! I was beginning to feel as though my new agenda strategy was really going to pay off. The next session, Using Email Data for Advertising Campaigns, focused on combining email and advertising strategies to increase engagement and success of email campaign performance. By leveraging customer data and engagement metrics, companies can better focus paid digital media strategies for win-back campaigns or increase other engagement metrics. While paid digital media can be effective with the right strategy, Salesforce recognizes gaps and how to improve them by leveraging email and paid strategies together. So far, day two was going A LOT better than day one. I was feeling more confident that I was in fact supposed to be here and new information was all around me! I had a few sessions scheduled with reserved seats, with about an hour between the two. 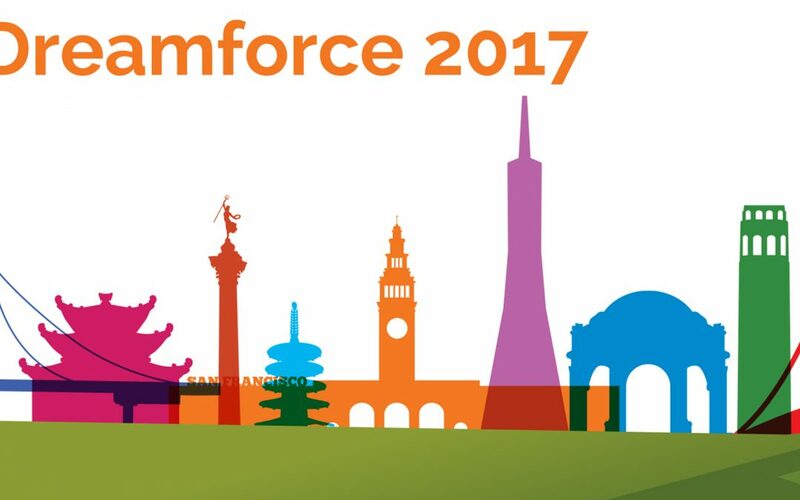 Dreamforce survival tip number two: give yourself enough time between sessions to walk to a new location. The next two sessions on my agenda, Death to Boring B2B Marketing and 13 Ways for a Small Business to Drive More Leads, were at two different locations, so I had to ensure enough time to walk from one to another. This was a very common trend at Dreamforce. As I sat at dinner on Tuesday night, I felt accomplished. I was able to attend most of the sessions I had pre-scheduled and learned more than I thought possible. However, one thing was certain, my feet were dead and it was only day two.